I’m an Advanced iRest® Level II Teacher. I’m a member of the National Yoga Alliance and a RYT 500-hour yoga instructor. I have successfully completed 685 hours of Svaroopa® Yoga Teacher Training, Successfullly completed the Svaroopa® Yoga Meditation Teacher training and successfully completed the Svaroopa® Yoga Embodyment Therapist training. I see these therapies and teachings as extremely valuable for anyone who wants to explore and find relief from physical, mental, emotional, or spiritual pain. I found relief after 23 years of suffering with a major sports injury and 12 years of Chronic Lyme disease. The mental and emotional stress accompanying the physical pain was beyond words. I thought I would have to adjust my life to the conditions at hand only to find there is another way. These gentle therapies and teachings are a welcomed gift to all that will explore. I now teach iRest classes and yoga classes. 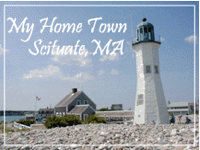 I also offers private individual sessions of iRest along with my bodywork practice in Scituate, Massachusetts. "There is nothing more satisfying than to witness someone finding themselves and coming home." I feel being able to teach this to others is the best gift I could ever receive. You may like to know, a little bit about me. I'm married to a talented wood carver and sign painter and great guy. I'm also the mother of two fantastic people. Jesse, my son, and Loni, my daughter. My interests are many and include: my work, nature, people, biking, swimming, hiking, yoga, singing, guitar, music of all kinds, recording music, carpentry, computers, photography, reading, knitting, spinning, weaving and the list could continue and include just about everything on earth and beyond. I love to learn just about anything, but the human body and the being inside has always left me in awe. As a young athlete I was always trying to improve my performance with exercise, nutrition and meditation. My entire life I've studied as much as I could. I continue to take as many classes as I can to improve my skills. I am a graduate of Spa Tech Institute's 600 hour Therapeutic Massage program. I am trained in Deep Tissue massage, as well as Myofascial Release, Reflexology, Pre-Natal and Sports massage. I also holds a degree in Dance Education. I enjoy combining my knowledge of dance with my knowledge of anatomy, to bring well rounded therapy to my clients. Stretching is a large part of my practice, and I love to teach people how to keep the relaxation going long after their bodywork session. I am excited to have completed the first level of CranioSacral Therapy to add to my practice, after my training with the Upledger Institute in December. I am continuing my training with The Upledge Institute and will be adding additional skills to my practice. Yoga Nidra - Richard Miller, Take a Nap Change Your Life - Sara C. Mednick, Ph.D. The Promise of Sleep - William C. Dement, M.D., Ph.D.